Is a non-profit organization that organizes local groups of women around the country that meet monthly to practice, learn and grow as shooters. 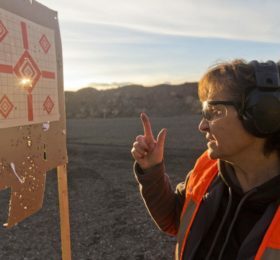 Expanding the world of firearms to women all over the country in a safe, non-threatening way with the purpose of Educating, Equipping and Empowering women shooters. Well Armed Women celebrates one year anniversary. Donate and help empower women in a safe and non-threatening environment for their effective and responsible self-defense with a firearm.